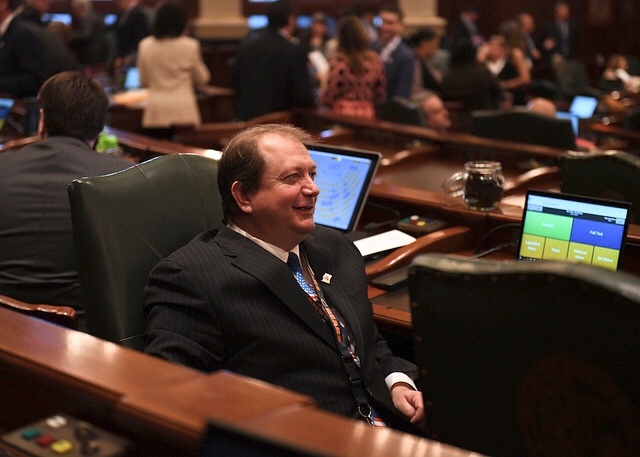 State Representative Tom Weber (R-Lake Villa) has been tapped by House Republican Leader Jim Durkin for several key committee assignments in the Illinois House of Representatives for the 101st General Assembly. The committees are – Appropriations-Human Services; Consumer Protection; Counties and Townships; Judiciary-Civil; Labor and Commerce; and Transportation: Regulation, Roads and Bridges. Given the push for a major infrastructure bill this year and debate over the state minimum wage, Weber’s committee assignments ensure he is well situated to make sure the voice of residents in Lake and McHenry Counties is heard. The 64th House District is split between Lake and McHenry Counties, from Crystal Lake in the south and stretching northeasterly to cover the communities throughout the Chain O’Lakes up to the Wisconsin border.